When you hear the words fabricating and welding what comes to mind? Two different processes? The same thing? Nothing? 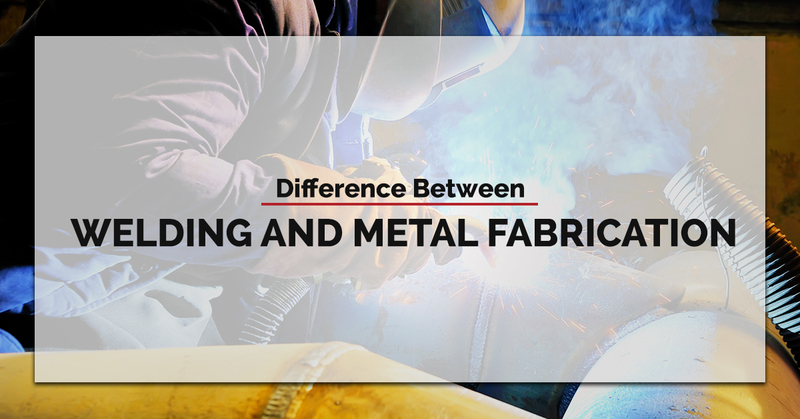 Regardless, in today’s blog, we at Fort Miller FAB3, Saratoga Springs’ go-to metal fabrication shop, would like to shed some light on these two practices. We often hear people speak as fabricating and welding are interchangeable. While the two processes are very closely related, there are some distinctions to be made. You may be wondering what value there is in knowing the difference, and this is certainly a fair question. Although it’s tempting, as people who live and love metal fabrication, to ask, “Who wouldn’t want to know this enriching information?”, we think that this could be beneficial for those who need metal fabrication services and actually settle instead for welding services. Need metal fabrication services? Contact us today for more information and pricing! In the most basic sense, fabrication is the process of altering—bending, cutting, shaping, assembling, etc.—metal for a defined project. Welding, on the other hand, is a single operation that is simply a part of the greater fabrication process. To help understand the true difference between the two, it is beneficial to sketch a general outline of the metal fabrication process. Before any metal fabrication can begin, a clear and detailed design must first be settled upon. Naturally, any cuts, welds, or bends made to a piece of metal before having a plan would be a waste. This is why when you take your custom metal fabrication project to a metal shop, their first goal will be to create an optimal design for each metal part or component of the project—this is, of course, after they work with you to find the most optimal and efficient way of accomplishing your project’s goals. Whether the project calls for laser cutting, metal bending, or some other fabrication service, expert fabricators will be able to carry out the job in the most efficient way possible—for example, if you are in need of a bending machine, they will use one, not simply solve the problem with a welding-based solution. Though it is a metal fabrication technique, the welding process can most easily be defined as joining two pieces of metal together. It does not require extensive designing, planning, forming, cutting, or machining. And unlike welding, metal fabrication is an overarching process that involves die cutting, roll forming, stamping, stretching, etc., and it, therefore, can be used for a wide array of projects. We hope that this brief article gave you a better idea of the metal fabrication and welding processes. At Fort Miller FAB3, welding is not only a part of our fabrication services, but we also offer extremely precise and dependable robotic welding. This is all a part of our effort to be the very best metal fabrication shop we can be. Whether you are in need of customized precision CNC machining, laser metal cutting, bending, welding, or some other metal fab service, we are poised and excited to help! Searching for the right shop to handle your project? Check out our recent blog on things to consider when searching for the right metal fabrication shop. And of course, if you are in the New York area and in need, contact us! We take tremendous pride in our work, our pursuit of perfection, and our unwavering commitment to helping our clients make their visions a reality.